“Goa” is a state in western India with coastlines stretching along the Arabian Sea. Goa is the most famous for its touristy beaches, happening nightlife & over 300 year old architecture. Tourism is its primary industry. The best season to visit Goa is between November and March. 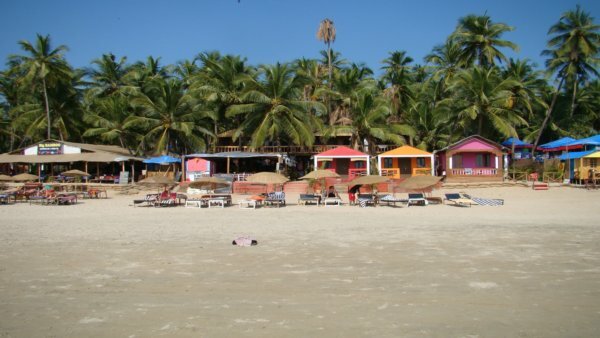 “Goa beaches”, the second priority why to visit Goa. Beaches are divided into North & South Goa. The one sentence that defines “Goa” is The Best Tourist Destination in INDIA. Calangute, Panaji and Candolim are one of the finest places in Goa. On your first visit to Goa, you may be awe-struck by the fact that such a small area of land could have so many tourist attractions to offer. The tourist destinations defy the size of Goa making the place a heaven for tourists from all parts of the world. With over 50 beaches, each beautiful in its own way, you are sure to have your cameras busy as you unwind. 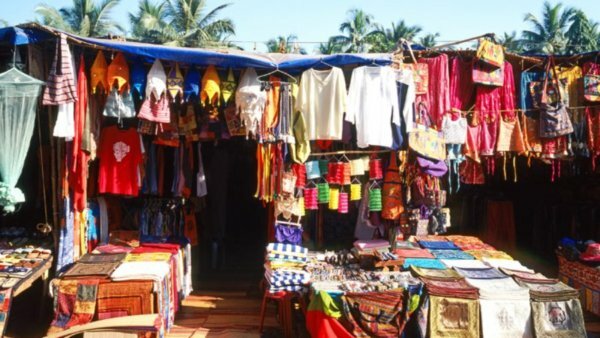 However, Goa stretches beyond its beaches in offering other interesting tourist spots. The land with a rich past has many architectural wonders apart from the natural sceneries. It has ancient forts and places of worship belonging to various faiths. You can engage yourself in various activities including water sports. 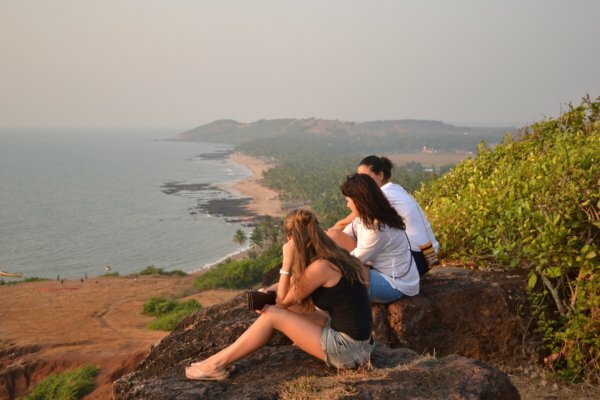 Here are the top places to visit in Goa, which you cannot afford to miss on your tour. – The Lovers Paradise – as it is called, Dona Paula Jetty is located on the beautiful and famous sea stretch that spans from Panjim, Miramar and Dona Paula. A thrilling breeze blows over this place and the view is very scenic. This idyllic rocky tourist attraction lies at the spot where the Mandovi and the Zuari rivers meet the Arabian Sea. – Calangute – Baga lane is one of the worthy ride you could have. And I really meant Ride & not Drive. The streets are always crowded and its always best to hire a two-wheeler and ride along. The lane is full of Restaurants, Cafe’s & Night Clubs. The famous Tito’s is also located on this street. 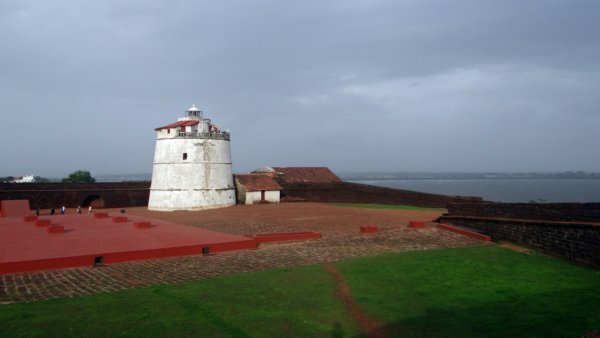 – Aguada fort seems like the per­fect des­ti­na­tion for a bright evening. The view from climb­ing up the spi­ral stair­case, up the light­house, is ecsta­tic. 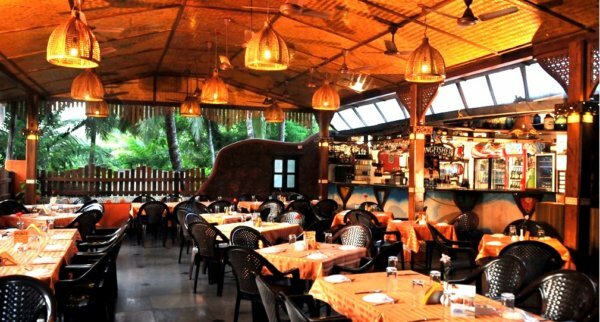 It is one of the finest beau­ties overlooking the Panjim city. 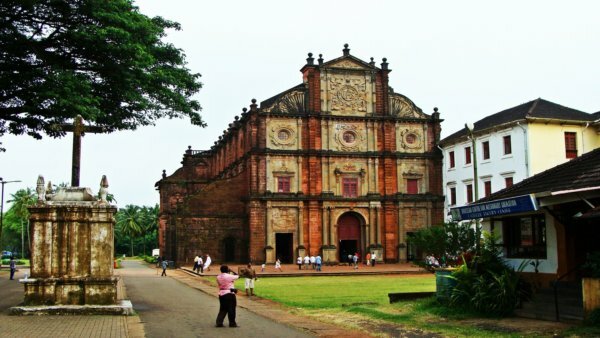 – The Old Goa location is a UNESCO World Heritage Site, also known as the Old Capital of Goa during the Portuguese Regime. 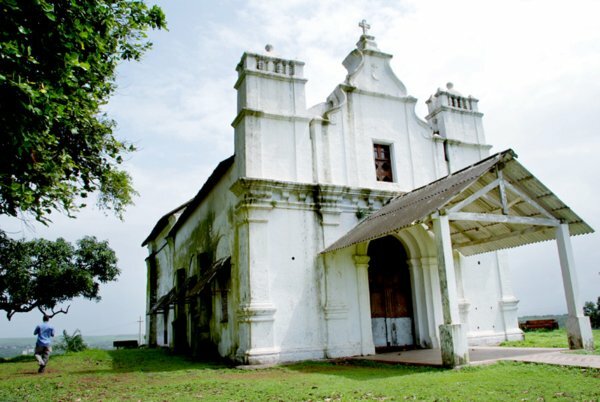 One of the churches known as the Basilica is famous for holding the remains of St. Francis Xavier, whose Believed to be the Protector of Goa. The location gives a feeling of the Portuguese time, the place has so much of History. – A scenic beach in extreme south Goa with scenic rocks and islands off its shores. Good eat­ing options. Watersports activity can be enjoyed at its Best on this beach. It is becom­ing pricey (by local stan­dards) and get­ting a bit crowded, but still less crowded com­pared to other pop­u­lar beaches. 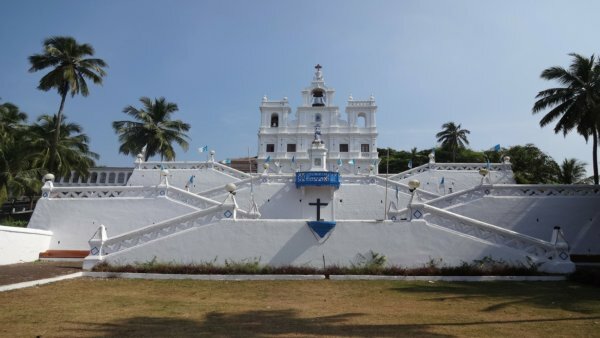 – To reach the Church of Our Lady of Immaculate Conception Panjim, one has to climb 100 steps arranged in a majestic fashion, for the Church sits majestically atop a hillock dominating the heart of the city and offering a bird’s eye view of the main square. 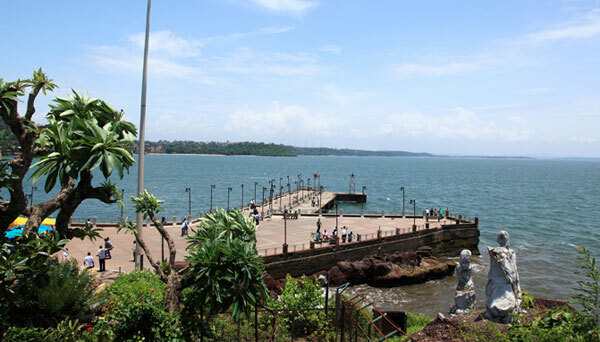 The Capital city is placed right on the banks of the river Mandovi which brings about its own charm & sense of vibes. 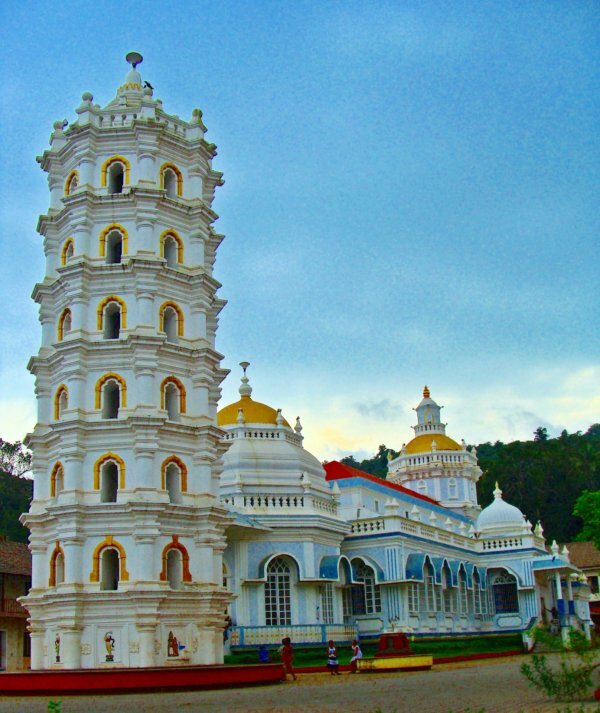 – One of the beautiful temples dedicated to Lord Siva & also considered as one of the most important temples in Goa, with a typical Goan Hindu Style of Architecture. – Sit­u­ated in the south of Goa, Majorda beach is one that will sweep you off your feet with its canopy of palm trees, soft white-sands, clear waters mere bliss. It has been one of the most pop­u­lar beaches of Goa, and its pop­u­lar­ity lies in its serenity. – Cansaulim Monte offers a spec­tac­u­lar array of most of South Goa’s beaches and much more. Its geo­graph­i­cal loca­tion offers one the joy of a really beau­ti­ful sun­set. One can see the Konkan rail­way, typ­i­cal Goan fields with farm­ers and bul­locks, nar­row roads and the scin­til­lat­ing breeze received atop. Its a little difficult to get here but its really worth the effort.